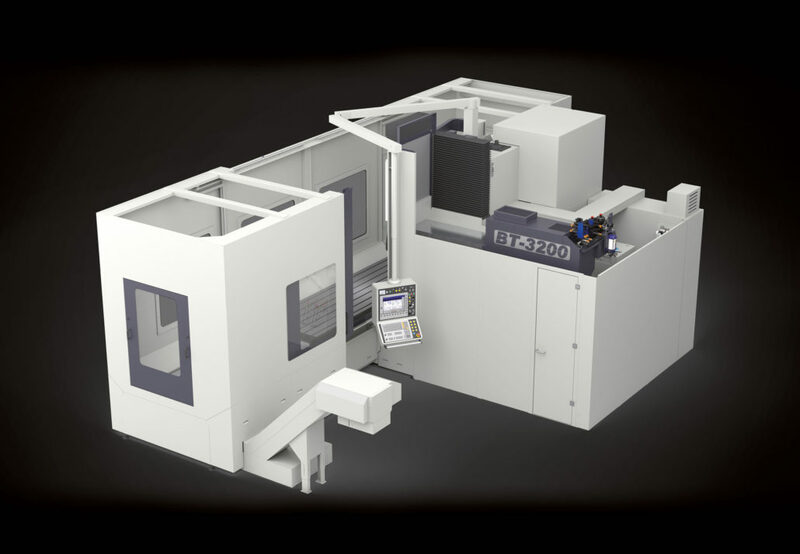 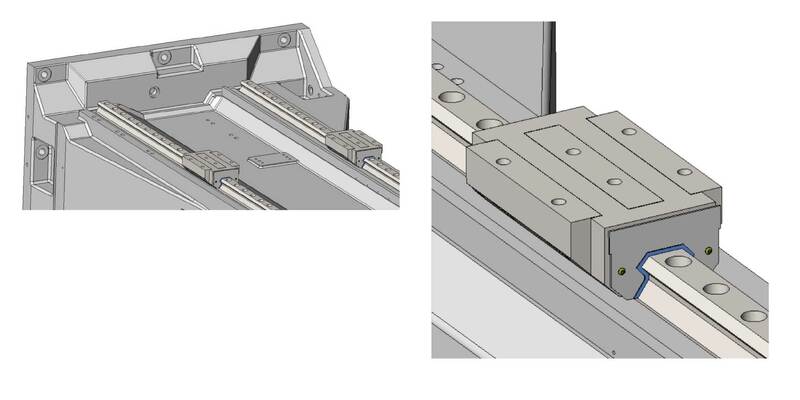 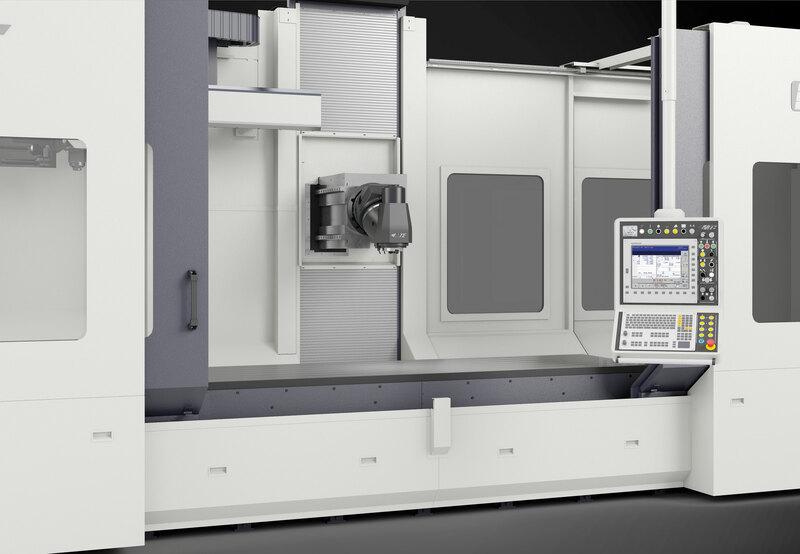 THE BT SERIES BED TYPE MILLING MACHINES FEATURE STATE-OF-THE-ART, HIGH FEED RATE CUTTERS AND LARGE MILLING HEADS AND ARE IDEALLY EQUIPPED FOR ALL APPLICATIONS. 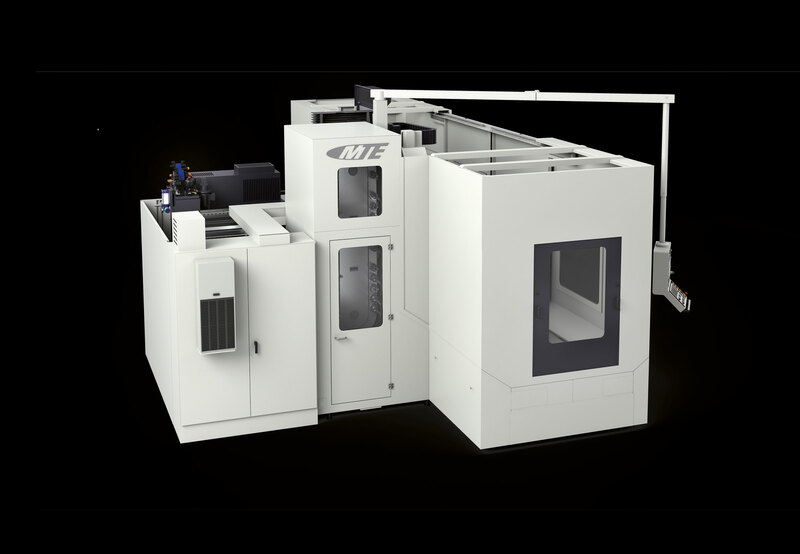 The BT machines’ high weight due to their heavy ribbed cast design, the use of INA guidings and the typical MTE oil-cooled 3-speed gear drives makes it highly dynamic, stable and precise. 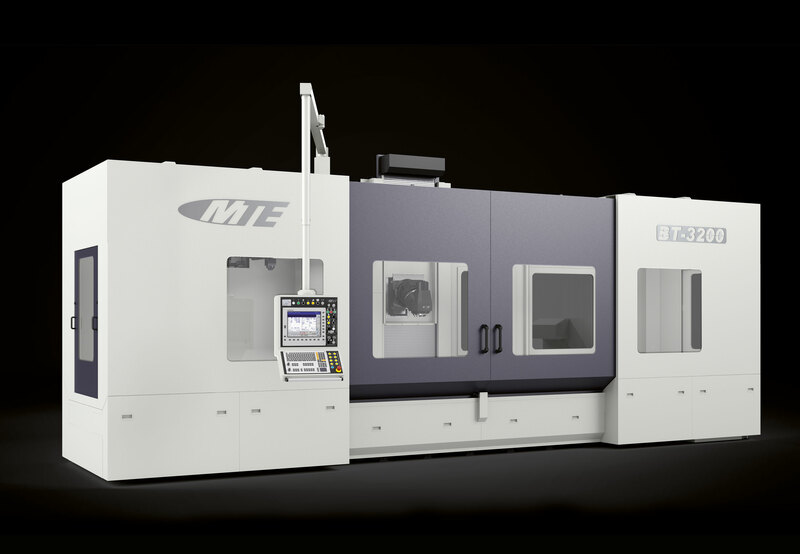 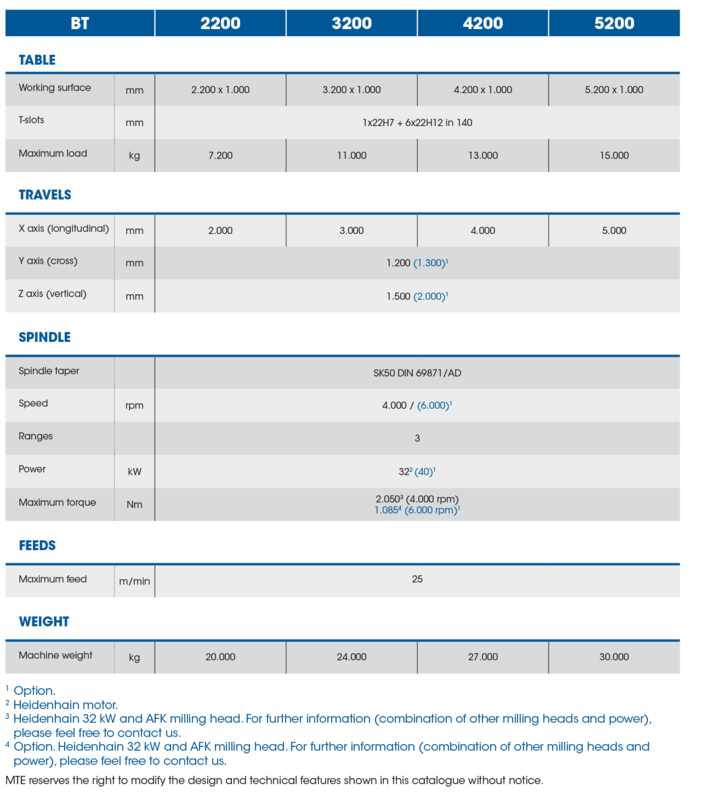 STANDARD EQUIPMENT FOR BT MODEL BED TYPE MILLING MACHINES.